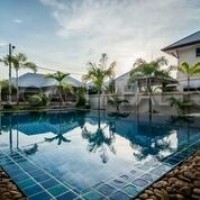 Spacious 3 bedroom 2 bathroom house located in East Pattaya with easy access to the 7 motorway linkign all major business hubs. 3 good size bedrooms and 2 bathrooms feature with the house covering a total plot size of 100TWAH. Offered for sale in Thai Name with transfer fees and taxes slipt 50/50.